As the newly appointed Mayor for the Town of Homer, I am elated to serve the citizens of the Town of Homer and surrounding area (Claiborne Parish), and to work with an innovative and spirited Town Council in the directives of our township. These are exciting times filled with changes all around us. To you, our citizens, I want to personally thank you for enlisting me to serve the Town of Homer into the next era of our rich history. Only with your support can Homer fulfill its potential holistically. possess several degrees: Bachelor of Arts degree in Political Science (Louisiana Tech University); a Master of Science degree in Criminal Justice (Grambling State University); and a Doctor of Education degree (Developmental Education) from Grambling State University. Also, I hold a Certificate of Theology from the Interdenominational Seminary in Atlanta, GA. My professional experiences are diverse since that I have worked in various areas of higher education at several universities, along with humbling experiences at the local Boys and Girls Clubs of America. In ongoing efforts to communicate effectively with our citizens, business owners, and visitors of our Town, this site was designed to provide information about the Town and allow you to become involved with our Town’s progress through programs and initiatives. I hope you find the website useful and informative. This site contains information regarding departments in our town’s government including contact names and phone numbers to keep you informed and connected. Visiting our site, please feel free to contact our Town Staff via email or phone, and we will be more than glad to answer questions or concerns as promptly as possible. As your mayor, I look forward to working with you in the years ahead. Please take a few minutes to browse our website to learn everything Homer has to offer. You are encouraged to contact the Mayor's office with any questions at 318-927-1312. Open Monday - Friday, 8:00 a.m. to 5:00 p.m.
To perform all of the duties of city clerk as provided by Louisiana Statutes, so that the city’s administrative and financial operations progress in an efficient, orderly, and lawful manner. Works under the supervision of the Mayor. Perform the statutory duties of a city clerk so that the administrative responsibilities of the city are carried out in a prompt, efficient, and lawful manner. Acknowledges all actions through Mayor prior processing. Keep a minute book of council meetings, maintain an ordinance book, act as custodian of the city’s seal and records, sign official papers for the city, sign airport leases, post and publish notices, ordinances and resolutions as required, sit on committees as assigned by the council, and assist with Zoning. 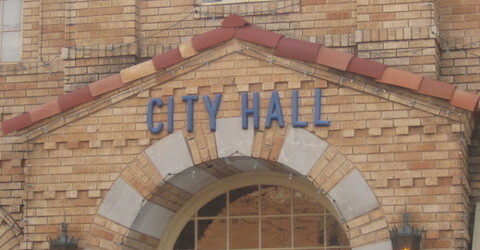 To maintain an awareness of constantly changing laws, rules, and regulations governing all aspects of city administrative and financial operations, including pay equity, grants, employment practices, bonding and special assessment changes, budgeting requirements, election changes, and other changes, so that the city council can be alerted to problems and the city’s operations carried out in a lawful manner. o Representative Tasks: Correspond with local governments and with the city attorney, maintain communication with the city council and the mayor and communicate changes to them, review professional journals and trade publications, attend city clerk and League of Cities conferences, and continuing education classes at the city’s expense. Upon Mayor’s approval -To act as the city’s representative and as the public contact person in dealing with the public, legislators, other government agencies and consultants. o Representative Tasks: Greet callers and visitors to city hall, respond to inquiries about city business, take complaints about city ordinances and policies and respond to them in an appropriate manner, respond to information requests and work with city staff, city engineer, city attorney and city planner on a day-to-day basis. Prepares agenda, mails notifications, advertises, attends meetings of the Board of Appeals; prepares and distributes minutes of Board of Appeals meetings. Review all correspondence as it pertains to Mayor's Office. Acts as, or arranges for, a clerk for all municipal boards and committee meetings. Updates Charter, Code and Ordinances as necessary. Remains fluent in State of Louisiana archival of records. Maintains and orders office supplies; orders name plates and address stamps for new Council members. Prepare travel for Mayor, Council and Staff. The Town of Homer Business office is open to the public Monday through Friday 8:00 a.m. to 4:00 p.m. A drop box is available to customers for after-hours payments.